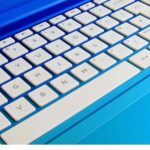 Research-based evidence concludes that computer keyboards and other input devices spread infections in the healthcare environment, schools and in communal environments if not properly cleaned. The research abstracts below strongly support that computer keyboards and other input devices are a source of bacteria and cross-contamination that can lead to HAIs. Therefore, washable keyboards, mice, TV remotes and mobile products with antimicrobial product protection should be put in place along with proper disinfection protocols to reduce the risk of infections and cross-contamination. The study, published in Infection Control and Hospital Epidemiology, comes from William Rutala, PhD, MPH, and colleagues at the University of North Carolina (UNC) at Chapel Hill. Researchers took samples from 25 computer keyboards at various locations inside UNC Hospitals and tested the samples for bacterial contamination. They found that each keyboard was contaminated with at least two types of bacteria. In particular, every keyboard tested positive for coagulase-negative staphylococci or CoNS, which is a major cause of bloodstream infections in hospitalized patients. In addition, 13 other types of bacteria were found, with the most common, after CoNS, being diphtheroids (found on 20 computers, or 80%), Micrococcus species (72%) and Bacillus species (64%). Data suggest that microbial contamination of keyboards is prevalent and that keyboards may be successfully decontaminated with disinfectants. Keyboards should be disinfected daily or when visibly soiled or if they become contaminated with blood. 25% of hospital keyboards harbour the Super Bug- MRSA, but daily disinfecting of the keyboards could reduce the risk of cross-contamination. Microbiology Professor/leading expert on infectious disease, Dr Charles Gerba conducted a study that found computer keyboards harbour up to 400 times more microbial bacteria than the average toilet seats and our among the dirtiest items in an office. In one study, Dr Gerba and his team separated office workers into two groups. 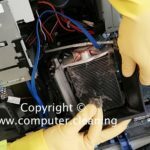 One group used disinfecting wipes to clean their desks, phones, and computers once a day while the other did not. Within two days, the wipes users were found to have a 99.9% reduction in bacteria levels. In schools, the most germ-laden places are desktops; computer keyboards, mice, and touchpads; pencil sharpeners, water fountains and restrooms. Of the professions studied, school teachers had the most germs in their offices by 20 times. Proper cleaning techniques can reduce bacteria by up to 99.9% and absenteeism in schools by 50%. Discovered that MRSA can survive on computer keyboards for up to 6 weeks. For the study, two strains of MRSA were inoculated in triplicate onto coupons made of bed linen, keyboard covers and acrylic fingernails. At selected times over 8 weeks, the coupons were subcultured and surviving bacteria were counted. MRSA survivors remained at detectable levels for 6 weeks on computer keyboard covers. The results clearly demonstrate the need for frequent hand washing and environmental disinfection in healthcare settings. 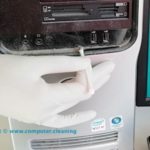 Recommendations for cleaning and disinfection: Computer equipment used in patient care within a multihospital system. Ensure that working with computer equipment is included in policies/procedures for hand hygiene. Specifically, when working with keyboards or mice in high-risk areas disinfect and gloved hands. Samples obtained from the keyboards and keyboard covers revealed the growth of MRSA and VRE at 24hrs. Transmission studies revealed that increased contact with the inoculated keyboards (from 1 to 5 touches) increased recovery of bacteria on hands. The transmissibility rate from keyboard covers was not appreciably different. VRE and MRSA are capable of prolonged survival on both computer keyboards and keyboard covers. After any contact with computer keyboards, both gloved and ungloved hands frequently become contaminated. 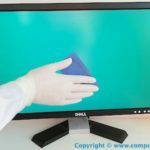 Researchers found that a good way to prevent the transmission of this type of infection is for health care workers to wash their hands and to have computer keyboards disinfected on a regular basis. Keyboards in non-treatment areas, nearly 32% were contaminated, versus less than 9% in treatment areas. Ten keyboards, or less than 14% of the total, were colonized with as many as nine different bacteria. Due to the threat of the germs’ potential spread to patients, Henry Ford’s Information Technology and Infection Control department recommended exchanging traditional keyboards in the ER for washable, silicone rubber models. Cultured 10 computer keyboards in the intensive-care unit eight times over two months. About 25% of the samples harboured the bacteria hospital officials fear most – multidrug-resistant Staphylococcus aureus. The DCDOH investigation of a Norovirus outbreak in an Elementary School reported that non-cleaned computer equipment (keyboards and mice) and person-to-person contact resulted in illness. Laboratory results from a computer mouse and keyboard in the first-grade classroom tested positive for norovirus subtype GII. DCDOH recommended cleaning computer equipment (mice and keyboards) and other shared surfaces that were overlooked during the February 8 cleaning with a 1:50 concentration household bleach solution. Microbiology Professor/leading expert on infectious disease, Dr Charles Gerba recently reported that “We looked at touch screens in hospitals recently and found them to be heavily contaminated with organisms such as MRSA”. He went on to report “You might wipe them down quickly but I don’t think they get thoroughly decontaminated in any way”. Microbiology Professor/leading expert on infectious disease, Dr Charles ranks the TV remote control as the highest carrier of bacteria in a patient’s hospital room compared to the toilet bowl handle, bathroom door and call buttons, among others. Even more disturbing is the detection of methicillin-resistant Staphylococcus Aureus (MRSA) on the remote control. As an antibiotic-resistant bacteria, a leading cause of infection and death in hospitals. The University of Houston, along with researchers from Purdue University and the University of South Carolina sampled a variety of surfaces from hotel rooms in Texas, Indiana and South Carolina found high levels of aerobic bacteria and coliform (faecal) bacterial contamination on TV remotes. Tests showed bacteria levels between 2 and 10 times higher than levels permissible in hospitals.